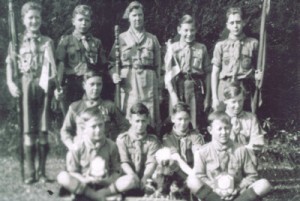 The 1st Liverton Scout Group was resurrected in September 2009 with a Beaver Colony and Cub Pack. The Scout Troop started a year later in September 2010, and an Explorer Unit in September 2013. It is known that there was a Scout Group in Liverton in 1945 as one of its members, John Whittington, has been in contact with the Group. If anyone has any further details about the Group please let us know! The original 1st Liverton Scout Group was operational in 1942, if anyone has any more information about the group at this phase of its existence please let us know. I saw a reference to 1st Liverton while browsing the web. It brought back many memories of an earlier 1st Liverton Scouts when I was a member way back in 1942.